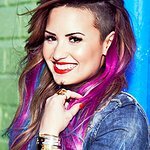 Teen actress Demi Lovato used social mini-blogging site Twitter to call on U.S. education chiefs to take urgent action against school bullies in a bid to curb teen suicides last week. Her comments came after reading a story about an 11-year-old boy – Jaheem Herrera – who took his own life after being bullied at school in Atlanta last week. She went on to talk about her own experiences with bullying at school, experiences that eventually led to her being home-schooled.